To build club members leadership and professional skills. To continue serving the communities of Antigua. To continue efforts to help improve the RRI relationship. To continue the increase in the visibility of the club. Throughout the Rotaract year, thus far we were able to accomplish a series of projects under each arm of service. Although we had a fair share of challenges with members’ participation in projects and donation, we were able to complete several of the proposed projects successfully. Upcoming projects for the committee are “We Care to Lend a Hand. Food Security – The Gateway to the Eradication of Poverty, RI project “Plant a tree for each member” and Adopt a Park. There were a few challenges faced by the director starting out the year, which lead the director to resign from the club. However, measures were put in place to have someone take up the position to complete the proposed projects for the year. PSA on “Importance of getting tested – Knowing your status” which was aired on 1st December 2017 in collaboration with Rotaract Club of Tortola and the DRR from both District 7030 and 7020. Cancer Jam where the proceeds will be donated to 8 year old cancer patient Janelle Charles. Trainings during meeting. Upcoming for the committee is continued training for its members. The Club Service committee was able to successfully complete the RRI Sports Day the 6th January 2018, along with planning activities for the club’s Charter Week Activities. Upcoming for the Club Service committee is out annual retreat at Anchorage Inn on the 9th to 11th March 2018. 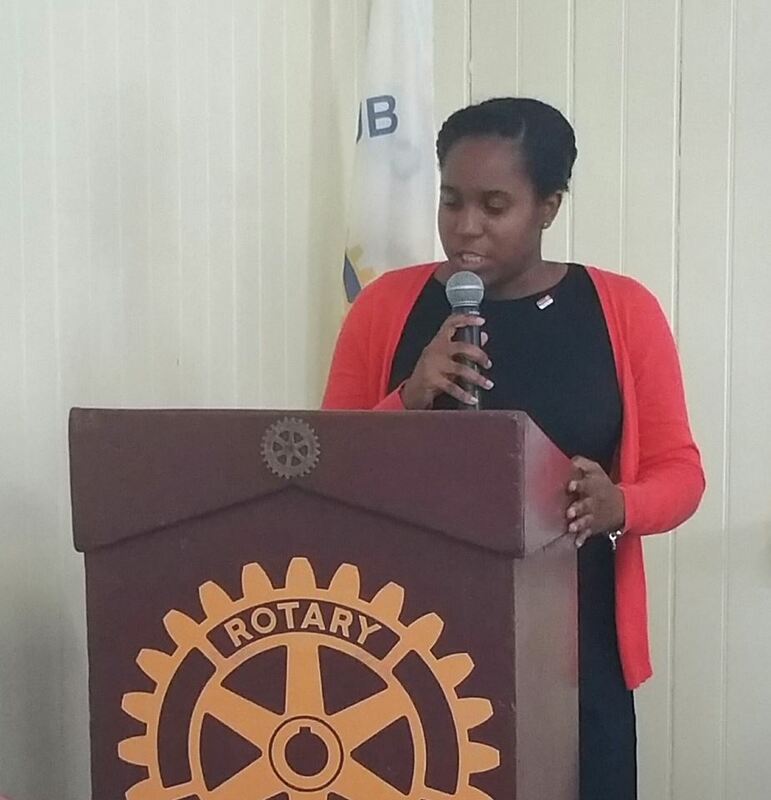 We have 9 Rotaractors registered and paid from District 7020, and 2 Rotaractors from St Kitts. Also our week of activities for World Rotaract Week 11th to 18th March 2018. The Cupid’s raffle is in progress and the draw will be 28th February 2018. Additionally, the club is making preparations for another bake sale on 24th February on the corner Market and St. Mary’s street starting from 11:00 am. The annual tag drive during World Rotaract Week will be March 15th 2018. One of the president’s objective this year is to build club members leadership and professional skills. The 2 days Professional Development Seminar under the theme “Creating leaders today to make a difference tomorrow” is dated for Friday 9th and Saturday 10th March 2018 at ABHTI. The presenters for the training are Mr. Anthonio Baptiste and Mr. Shane Gibson from Trinidad and Ms. Kim Martin and Nolan Hue Foundation from Antigua. Invitations were sent out and the flyer is being circulated. We have received some levels of sponsorship and will be continuing with our Bake sale fundraiser towards this event and retreat on 24th February 2018.